Got up for a french breakie with Anthonys parents in Nice, packed all the gear and boys into Mort’s and drove off to Finale. Booked into Finale Freeride village for some high-grade camping life (pools, washing machine AND showers). We ended up squeezing three tents and the van onto a smallish camping spot keeping things cozy. Had a chill day to recover from my DJ gastro after party. Biked into town with Loui Harvey for a swim at the beach and some gluteny cheesey goodness. Spent the rest of the arvo at the campsite pool. Loui and Jess scored the boys some cheap shuttles for prachy day which made things perfect (we were all still pretty rinsed, gastro, heatstroke, and all). It was a big day out, starting on the shuttle at 8am, with a lunch break in the middle down the coast in Sportorno (trying to beat the Italian siesta). Pizza, gelato, and croissants.. I don’t know how all the Euros are so skinny. We got back at a reasonable time, tidied up and headed out for more pizza with a big chunk of the kiwi crew. No prachy today left a whole bunch of time for sleeping in, bike stuff, pool time, and food. We headed down the coast for a flat spin and while we were out school mate Ross turned up at the train station in Finale, so I headed back early to catch up (saw the biggest stingray I’ve ever seen). Found Rosco at the station and we walked into the pits to find the rest of the kiwis. Chatted for a bit before he mentioned it was his birthday (Ross doesn’t bike, and has just travelled 8 hours to catch up.. on his birthday.. and I forgot, haha). We got some gelato with the kiwis and headed back to the pizza shop and bumped into Sven and Anka Martin. Got some more pizza and carried on to camp. Managed to get the boys to sing happy birthday and found one very large candle that went good on one of those nutella tart things (jumbo sized). Race day, and I’m feeling back to normal and ready to go. Dressed up and headed out. Start time was 9.30am and we had a 1.5 hour liaison to stage one. On the way my free hub body wasn’t engaging very well with the hub body causing the pedals to freely spin. I tried doing some trackside maintenance on the way out, but it didn’t really help. Bumped into Keegan Wright, who was stopped with a flat and tried helping, but his tire kept blowing off of his rim no matter what he tried (unlucky). Finally got to stage one. This stage was fun! A good mixture of pedals, awkward tight sections and some fast straights. I raced well down the whole of this track while making sure to wait for the hub to engage before sprinting. Just before the finish checkout my hub slipped and I did a classic monk over the front of the bars and off down a bank full of blackberry (literally 2m before the checkout, I could nearly lick it). Boosted back up the bank and finished the stage, with a couple of scratches and a sore glute. On the way to stage two I was chatting about the hub and Kenta Gallagher mentioned it could be fixed if I took the hub apart and manually pulled the springs out the aid with the engagement of the free hub body to the hub. So I did exactly that and the thing worked like new (very lucky to not lose any parts in the dust). Stage two was a open rocky start into a tighter rocky section with a climb rolled by dusty unburied corners to the finish. The stage went well with no major problems - started having some fun! 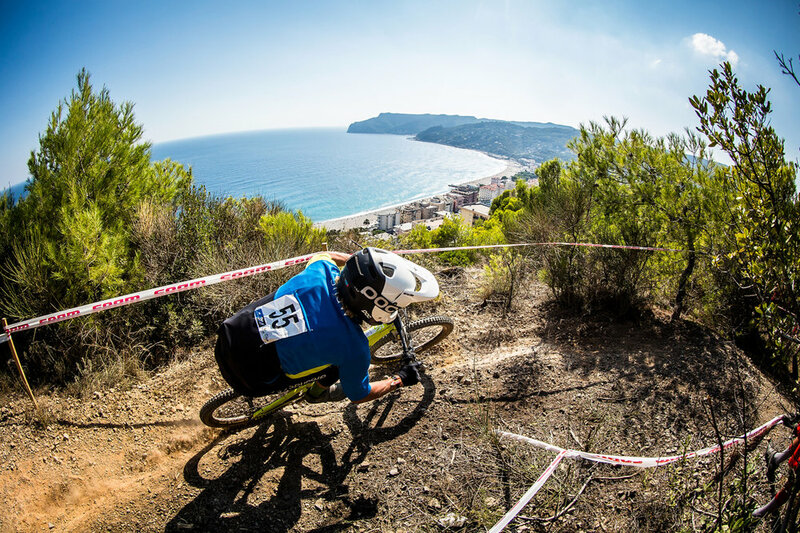 Three was one of the funnest with high speed sections on loose rock with the odd tight corner to catch you out (every stage has an amazing view of the sea to distract you on the way down). Straight to the beach, pizza shop, and then back to camp to re-hydrate :) Both Charlie and I are now missing our sheep hats, those things were not made for after parties. Tom Prier left first thing; we had a big clean up of the camp; sold some overflow stuff; Ed Curly joined us, and then we jumped on a shuttle up to Nato base for some shlaps. We were all fizzing, those tracks are so good! 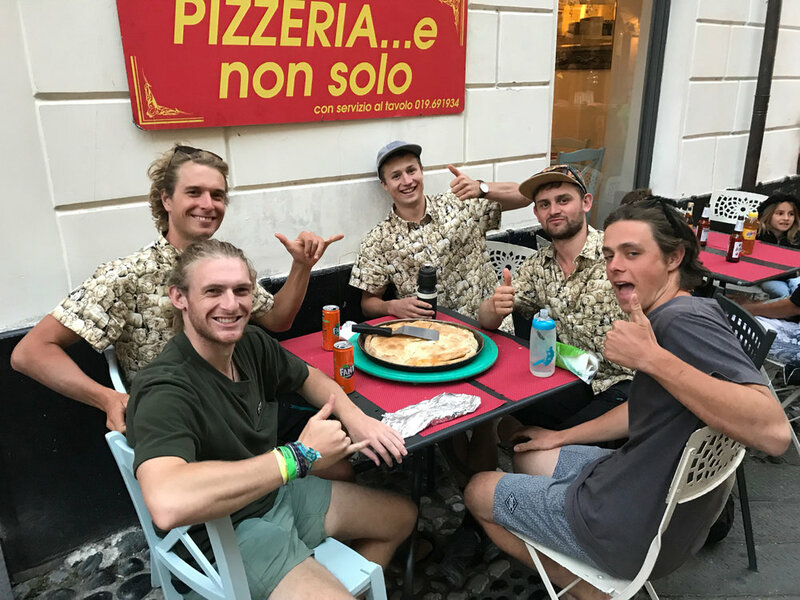 Had a stop by the pizza shop one last time and ordered some pesto pizza from our now favourite ’pizza girl’ (we are now regulars and old mate Tom-heatstroke-Bradshaw wants to marry ‘pizza girl’) - it’s the best pizza of our lives, not even kidding, and we made sure everyone in the shop knew. 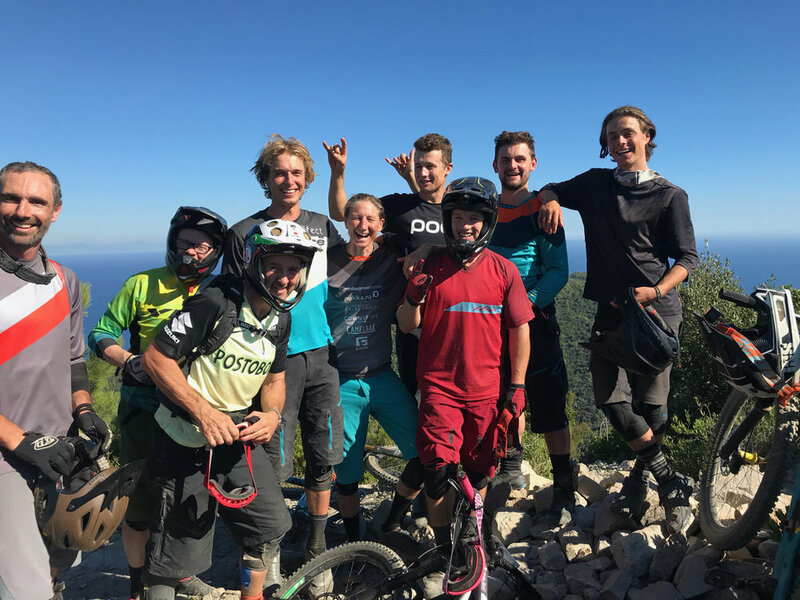 Cruised back to camp, all piled into the van and headed for Les Gets (Rosco replaced Tom, while Ed managed to jump in Jamies wagon). Turned up at Sebs house in Les Gets (Charlies French skier bud) - he cooked up a mean feed of sausages in cream and onion (so bon) and we crashed out. Pretty early start to pack in all the planned activities. Bradshaw and I went for a walk to collect the fresh produce (pain au choccies, and pommes). 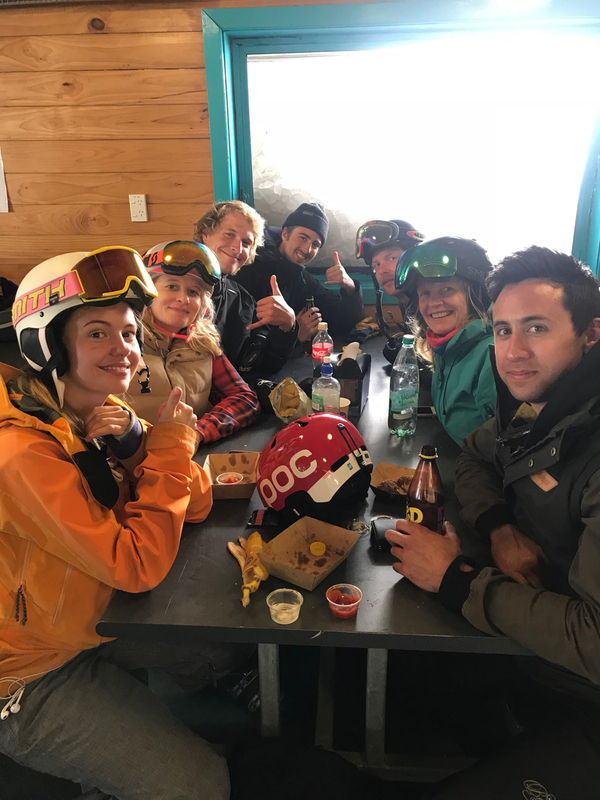 The team got their hiking gear on and we headed straight to another mean bakery, and then up the hill to start a hike to one of the highest peaks in Les Gets (behind Mont Chery). Fresh snow everywhere, I have never seen this area like this before, amazing looking and all. Saw plenty of Chamoix on the way and managed to crawl up through the snow to the peak. So worth the hike for the view we got. 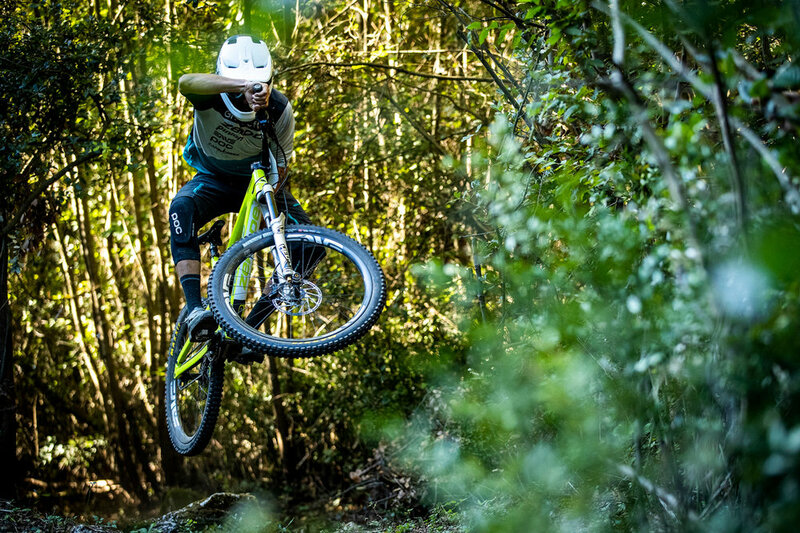 Bounced back down and straight onto the bikes for a quick evening lap of Les Gets. Cleaned and packed everything properly and chucked it into Morts for the early start tomorrow. Seb and Rosco cooked a raclette for the boys (melted cheese on potatoes and pickles) so good! Blocks you right up, haha. 4am start doing some final packing. Farewell to Seb and we hit the road bound for Pari. Caught up with Cam Osbourne and Becs Rolling at the airport to hand over the keys to Morty, and say by to the team for now. They drove off and I called them ten minutes later to get my helmet bag I’d left in the van :D. Checked in my mountain of luggage for free somehow, and then walked off to what I thought was the big bag drop off, but it was another check-in and somehow checked in all over again, getting charged this time - argh. Off home, via Tokyo. Got to the Narita airport (from Naheda airport) and my emergency card wouldn’t work.. for anything. I couldn’t pay the driver (my normal card froze in Lenzerheide and snapped when I returned to Europe 5 weeks ago). After an hour trying to pay the taxi man I found some tape and mended the broken card, got it into an ATM and managed to get some cash, finally! Said sorry to taxi man and headed to check in. Re charged for all the excess baggage, again (poor bank account), and headed to the oversize to check the gearsies in. The main security man there was convinced that travelling with bike suspension in Japan was forbidden and that I had to remove the forks and shock off my bike and throw them out. After at least an hour of battling with this guy I got my bike checked in and am now on the last leg home!! Time to enjoy some Ramen, addikimasu. Won’t be back in Japan with a bike. 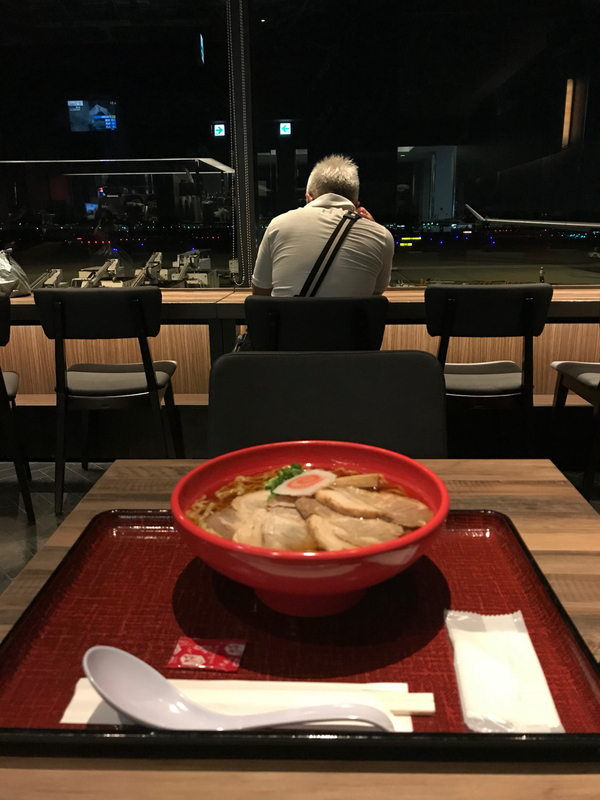 Arrived in Tokyo with the pile of baggage and had to connect flights, but at another airport 100km away. 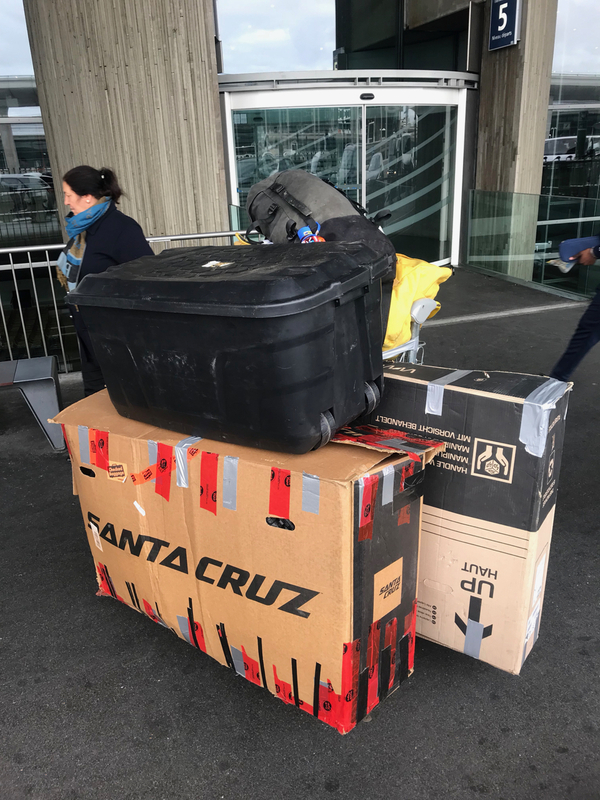 There was no way I was catching a bus or train with all this load, so jumped in the most expensive taxi ride of my life. Good to be home... kinda. Am now in Ohakune ready to go for a (birthday) ski tomorrow.